Although often considered synonyms, Alzheimer’s disease and dementia are not the same. Whether you’re a caregiver or someone experiencing early onset symptoms, it’s important to understand the difference between dementia and Alzheimer’s disease. At the Long Island Alzheimer’s Foundation (LIAF), we provide a range of innovative services to help your loved one living with Alzheimer’s and other forms of dementia find a higher quality of life. Continue reading to learn more about the difference between dementia and Alzheimer’s disease. Other causes of dementia can include chronic drug use, depression, vascular disease, infections, and stroke. Each type of dementia causes damage to a unique set of brain cells. 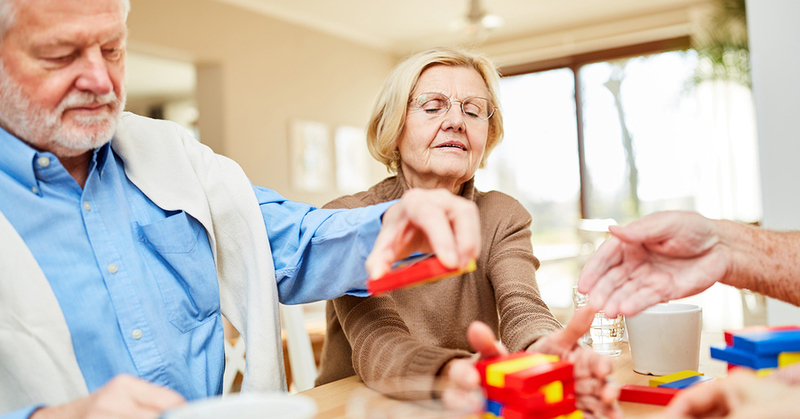 Considering different types of dementia may share relatively similar symptoms, it can present a challenge for practitioners to accurately diagnose your loved one’s condition. A medical assessment for dementia typically includes a medical history, physical exam and neurological tests. The National Institutes of Health estimate that over 5 million people in the United States suffer from Alzheimer’s disease. Alzheimer’s is a very specific type of progressive dementia that usually affects those over the age of 65. Alzheimer’s disease is the result of the buildup of fibers and proteins in the brain that block nerve signals and destroy nerve cells. While younger people can get diagnosed with Alzheimer’s, most of the symptoms do not begin until later in life. The Center for Disease Control estimates that Alzheimer’s disease causes anywhere from 50 to 70% of all dementia cases. Symptoms of Alzheimer’s can include confusion, impaired thought, and other cognitive impairments. At first, memory loss associated with Alzheimer’s may be minimal, but the symptoms progress over time. If your loved one suffers from Alzheimer’s, it can become increasingly difficult to perform everyday tasks or even carry on conversations. Mood changes, aggression, and confusion are other common symptoms associated with the disease. If your loved one has been diagnosed with dementia, they are essentially being diagnosed with a set of symptoms. Similar to someone with a headache — their head hurts, but it may not be understood what is causing the symptom. Among others, it could be sinus pressure, high blood pressure, a brain freeze, or more serious conditions like brain tumors. When someone has dementia, they are essentially experiencing symptoms without being told what is actually causing the symptoms. Let’s take a closer look at a few key areas that may highlight more differences between Alzheimer’s and dementia. Difficulty walking, swallowing, or speaking in the later stages of Alzheimer’s. Although some forms of dementia will share these symptoms, they will typically exclude or include other symptoms that can assist in diagnosis. For instance, Lewy body dementia (LBD) has several of the same symptoms as Alzheimer’s, but those with LBD may experience initial symptoms like sleep disturbances, balance problems, and hallucinations. Alzheimer’s disease is not curable or reversible and is degenerative. However, certain forms of dementia can be temporary and may be reversible. Similar to Alzheimer’s disease, there are many forms of treatment available to treat the condition that causes dementia. LIAF’s innovative programs address each stage, including pre-diagnosis, and are customized to the diagnosed individual’s progression. Our goal is to make a positive difference in the lives of those impacted by Alzheimer’s disease and other forms of dementia — one person, one family, one community at a time.